This incredibly long-lasting hot-dipped galvanized tub contains our three key components for maintaining durability: a wire-reinforced rim, body swedges, and an offset bottom. The 16 gallon galvanized oval tub is resistant to corrosion, even around holes drilled for drainage to create a beautiful galvanized garden planter. 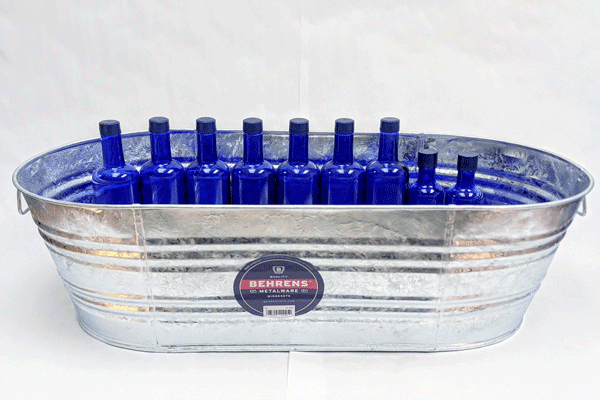 This large watertight tub can hold up to 50 standard size drinks, making it the perfect vintage cooler for your next outdoor event. This tub is durable and will last decades as a beverage tub, rustic planter, garden harvester, or storage tub for anything in all environments. Note: This item ships with the manufacturer label. Remove label with a hair dryer to leave no sticky residue. We also offer oval galvanized tubs in a 10.5 gallon tub and a 7.5 gallon tub size to suit all your needs. Our large square galvanized tub or our big 17 gallon round galvanized tub may also interest you. 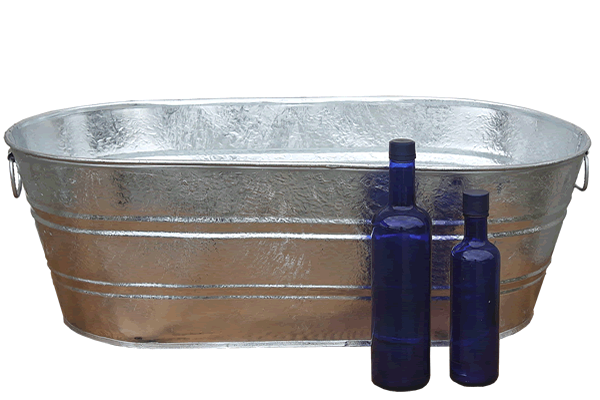 See our full line of galvanized wash tub planters here.